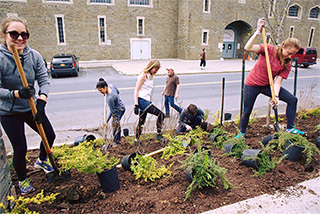 Urban Eden students plant along Garden Avenue outside Teagle Hall. 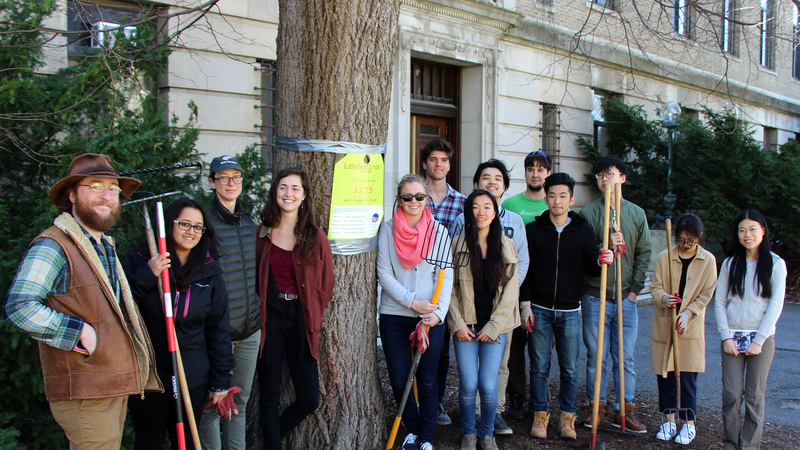 Every year since 2001, students in Creating the Urban Eden: Woody Plant Selection, Design, and Landscape Establishment (HORT/LA 4910/4920) have taken on real world projects, designing and installing gardens on campus each spring. This year’s projects include a strip along Garden Avenue west of Teagle and Comstock Halls, areas behind Warren Hall, and a planting at the entrance to Plant Science Building just west of the new Liberty Hyde Bailey Conservatory. For that project, the low-growing plants were specifically selected so as not to shade the Conservatory or to attract pests that might move from the planting inside, says Nina Bassuk, Horticulture Section professor who teaches the course along Landscape Architecture professor Peter Trowbridge. The plants include a mix of evergreen and deciduous woody plant species with a variety of foliage colors that provide year-round interest and discourage browsing by deer. 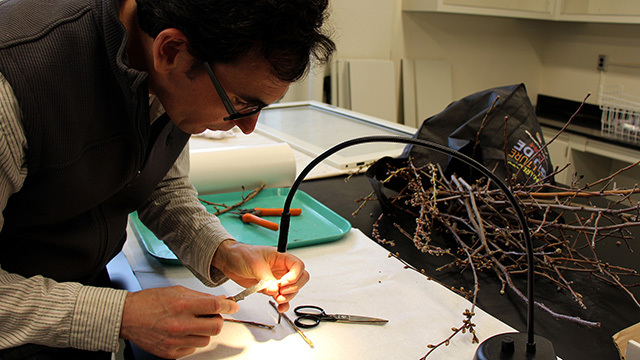 “We’ve used a lot of new cultivars so that we can introduce them to future classes as part of our teaching program,” says Bassuk, who is also the director of the Urban Horticulture Institute. The students also tried a new planting technique using smaller plugs that are easier to handle and plant but will quickly fill the space. 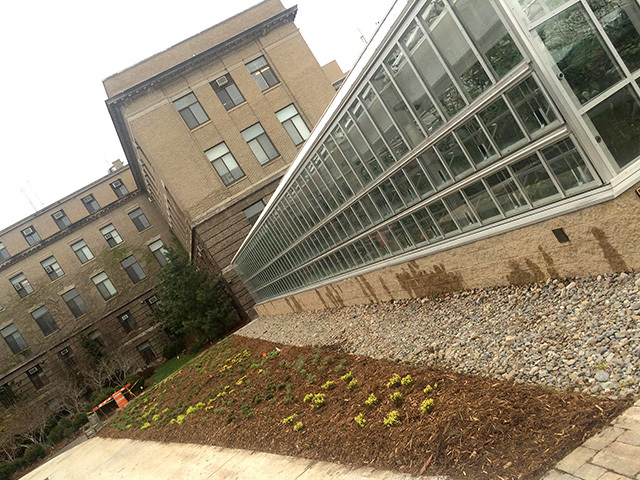 New planting outside the Liberty Hyde Bailey Conservatory at the entrance of the Plant Science Building. In Do Children in France Have a Healthier Relationship With Alcohol?, Justine Vanden Heuvel and psychology professor Katherine Kinzler explore how the informal education about alcohol children receive influences later drinking habits. 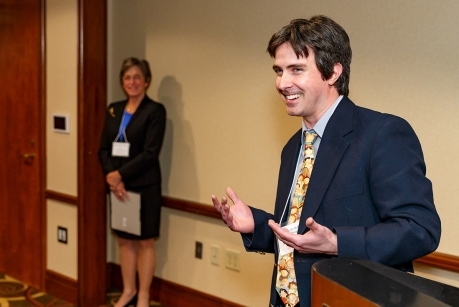 Bryan Duff, senior lecturer in the Horticulture Section, was one of two recipients of the 2016 Kaplan Family Faculty Fellowship in Service-Learning. He and Noliwe Rooks, associate professor of Africana studies, were recognized at the 15th annual award dinner, April 21. The event also celebrated two service-learning curriculum projects local partners, DeWitt Middle School and McGraw House senior center in downtown Ithaca, who are working with Rooks and Duff. Duff, who coordinates the undergraduate minor in education, redesigned the service-learning course, Engaging Students in Learning. The course engages community partners in the development and refinement of a service-learning course and gives Cornell students responsibility to plan and implement an after-school program for middle school students. While the goal of the course had always been to help students improve their ability to engage learners and gain useful in-class skills, Duff felt it did not always provide the same level of interaction for every student. With support from the Engaged Faculty Fellowship Program, Duff shifted students from assisting in the classroom to running an after-school program at DeWitt Middle School. Read more in the Cornell Chronicle [2016-04-25]. Dean Kathryn Boor honored a select group of CALS students, faculty and staff during this year’s Dean’s Awards Dinner held April 18 at the Statler Hotel. The annual event recognizes outstanding faculty, staff and students; with a focus on undergraduate education, teaching and advising. 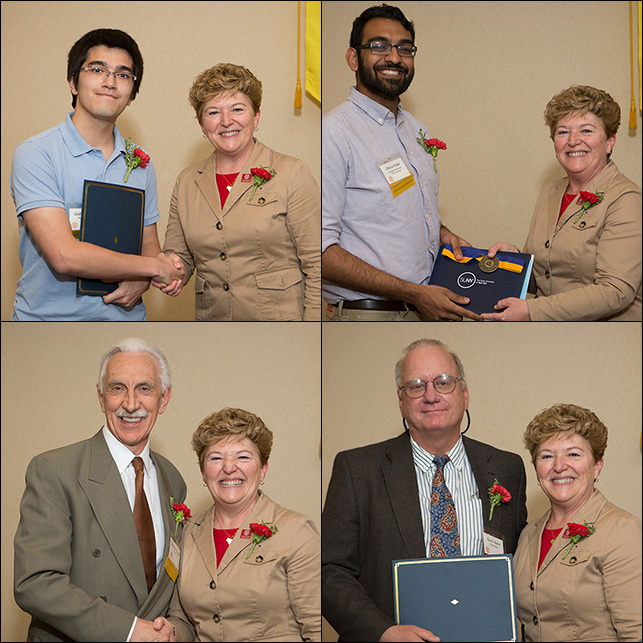 Receiving congratulations from Dean Boor are (clockwise from upper left) Joshua Kaste, Dhruv Patel, Kevin C. Nixon, William L. Crepet. Not pictured: Sarah Nadeau. 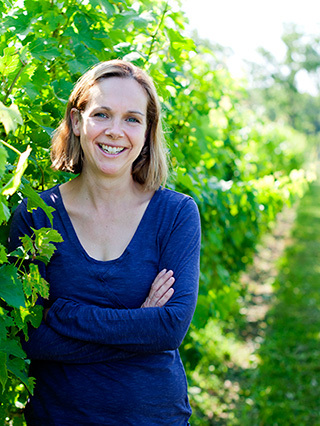 After the publication of a recent study about the impact of climate change on French wine, several articles misrepresented the study, resulting in misleading headlines such as An Upside to Climate Change? Better French Wine, French Wine May Be Improving Due To Climate Change, and Climate Change Giving The World Better French Wine. While the stories implied that any benefit of climate change on French wine would be short-term, they failed to press on a key point: Climate change will transform what’s in your wine glass and continue to do so as long as it remains unchecked. Here in the U.S., the assessment of the future of the wine industry is pretty grim: the land area capable of producing premium wines could decrease by as much as 81 percent by the end of this century. The major impact of climate change on wine grape production is through increasing temperature; as the growth of grapevines is mostly dictated by temperature, climate change has been resulting in earlier bloom and harvest dates, with most major wine regions being impacted. Major wine-growing regions such as Bordeaux, Burgundy, and the Napa Valley have at least a few strategies available to them. One is that they can maintain the status quo by growing the same grape varieties that they grow now. As temperature increases, sugar accumulation in the grape increases, resulting in a higher alcohol wine. Acidity of the grapes decreases, color can be reduced, and compounds that are responsible for the typical aroma of some wines can decrease. Will consumers adapt to these changing styles? It’s difficult to say. 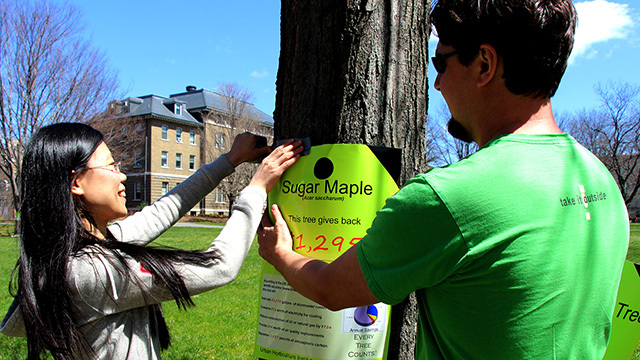 Urban Eden teaching assistants Huan Liu and Miles Schwartz Sax tag a sugar maple outside of Roberts Hall. 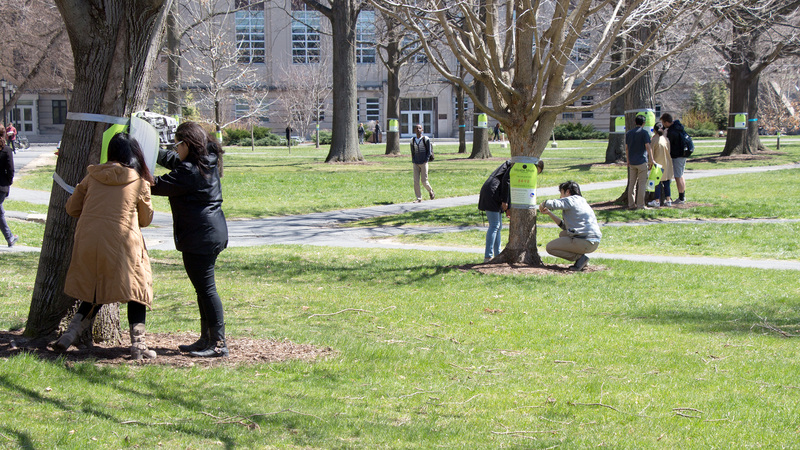 “It’s really quite eye-opening for people who think that trees are just nice to look at and don’t have any other value,” said Nina Bassuk, professor in the Horticulture Section of the School of Integrative Plant Science, who leads the class alongside Peter Trowbridge, professor in the Department of Landscape Architecture. … until it was time to go prune and mulch landscapes installed by previous Urban Eden classes. Nearly 60 faculty, staff, students, industry representatives and others attended the day-long Cornell Biochar/Bioenergy Seminar April 15. They were treated to wide-ranging talks, panel discussions, flash presentations and a poster session. The day culminated with a tour of Cornell’s new biochar research pyrolysis kiln at the Leland Laboratory, the largest in the U.S. The kiln was made possible by a $5 million gift to the Atkinson Center for a Sustainable Future from philanthropist Yossie Hollander, who is interested in the test facility’s potential to help small farming communities in developing countries. The kiln will help researchers learn more about how feedstocks and pyrolysis practices affect biochar quality and effectiveness as a soil amendment. More information. 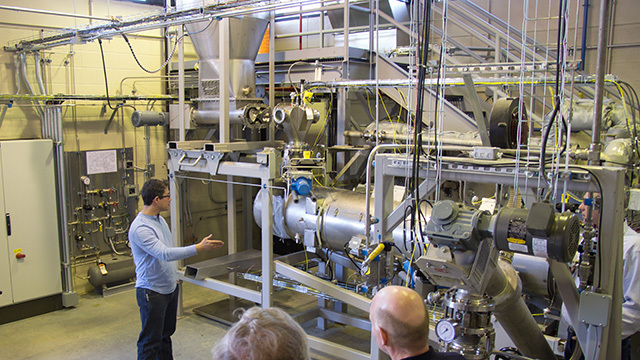 Seminar participants learn about the nuts and bolts of Cornell’s new research pyrolysis kiln at the Leland Laboratory.